Oakwood Manor is in the best location! The Village of Fairport provides a charming setting filled with shops and restaurants. A path leads directly to the Erie Canal trail, and “Fairport Canal Days” is a fun-filled festival in June that includes 400 arts, crafts, and food vendors along Main Street and the Canal. The Erie Canal is the location of a variety of activities, events, and fun! But the location isn’t the only thing you’ll love about Oakwood Manor Apartments. Our brick buildings are set among tall shade trees on a lushly-landscaped property. We’re pet-friendly, and our tree-filled courtyards are ideal for picnics. 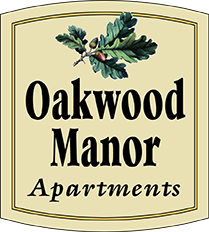 Oakwood Manor provides convenient parking next to each building, 24-hour emergency maintenance, and spacious laundry rooms. There’s also plenty of guest parking, an intercom system so you’ll be able to buzz in guests, and amazing views. Quiet, country-like setting yet close to everything! Shopping from Victor to Henrietta, Pittsford to the City. Easy access to 490 and a quick ride across town. The perfect place. $300 pet security deposit. 1/2 refundable at move-out. ALL pet fee’s (cat OR dog): $25.00.